About a year ago I stumbled on a little phrase in Scripture that challenged me to affirm the promises of God through prayer. So I created an easy way to do it systematically and began, having no idea how life-changing it would be, not just for myself but for others who joined in with me as well. 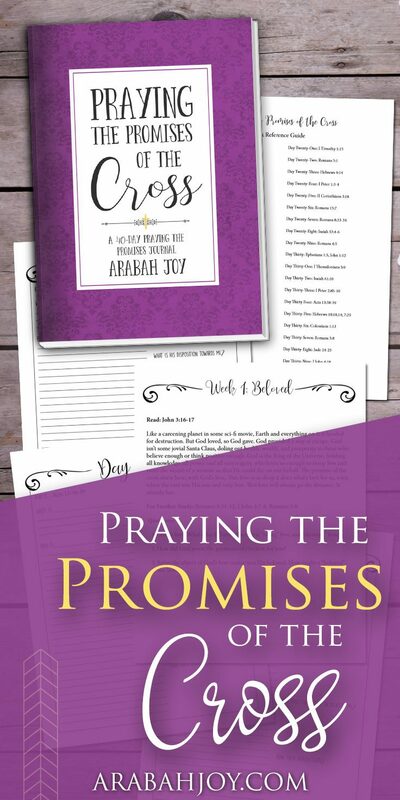 Then a few months ago, I was asked by a women’s ministry leader to create a challenge specifically geared towards praying promises related to the cross of Christ. I was excited to dive in because I knew it would be good! But still I was unprepared for how this one simple discipline would enrich my spirit as I meditated on and prayed promises specific to the cross. I found myself partaking of the manna of Christ Himself. I was feasting on His work and sacrifice. I was drinking Living Water and had a simple, systematic way of doing so. I was gaining a deeper grasp of the gospel and it was food for my soul. I had no idea how rich and nourishing the experience would be. This is something I want to do for the rest of my life! And now, I’d like to invite you to discover the wealth of the praying promises of the cross too. I welcome you to begin your own habit of praying promises. 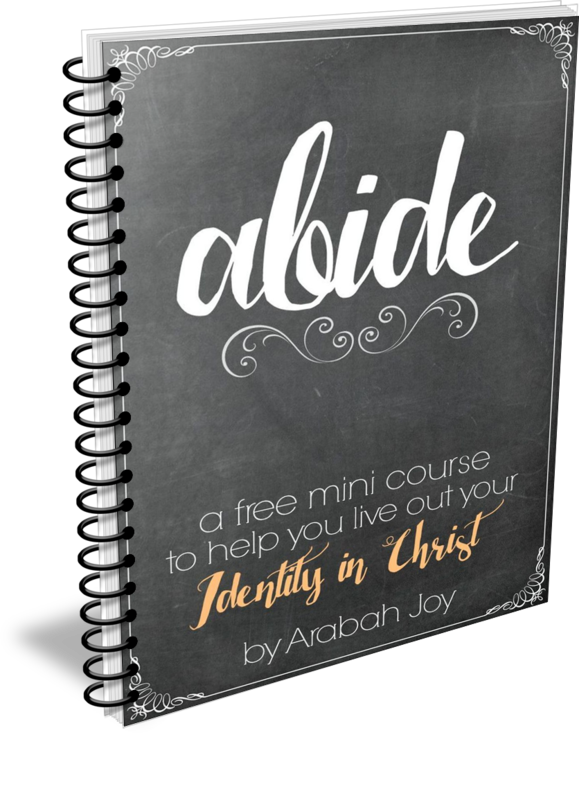 Discover what happens when you intentionally affirm the promises of God, especially those related to the person, work, and provision of Christ. I promise it is worth every minute you give it, even when those minutes feel bland, ordinary, or boring. The small seeds you plant in the form of praying promises will reap huge spiritual dividends in your life AND your legacy. It’s just what God does. WHEN: We periodically do live challenges on the blog so stay tuned for our next live challenge. In the meantime, you can sign up to do a self-paced 40 Day Challenge here! 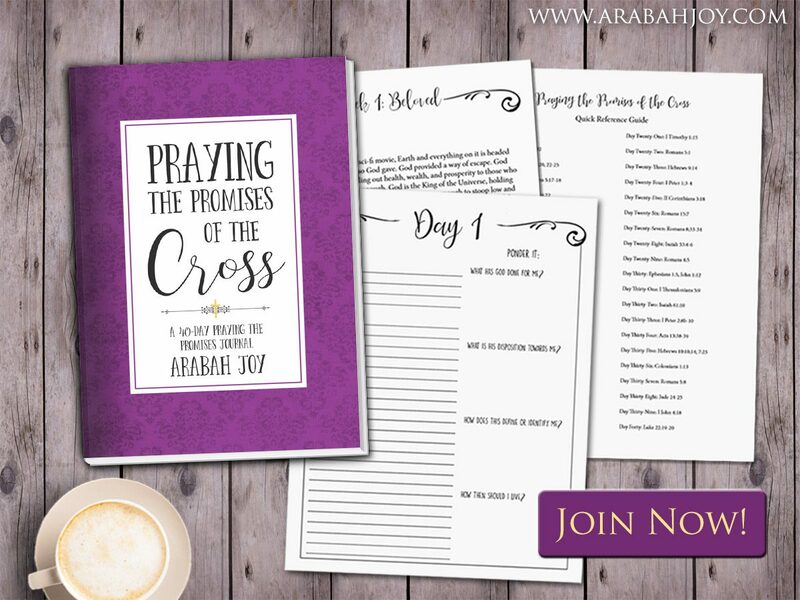 HOW: If you are ready to pray the promises of the cross, simply sign up for the FREE 40 Day Challenge. We’ve done everything we can to make this simple and actionable. WHAT: When you sign up, you’ll receive scriptures to pray over the next 40 days. 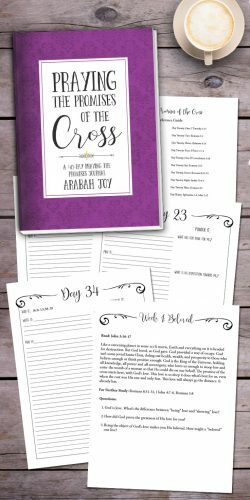 You’ll also get weekly devotionals to help focus your heart on the power of the Cross. 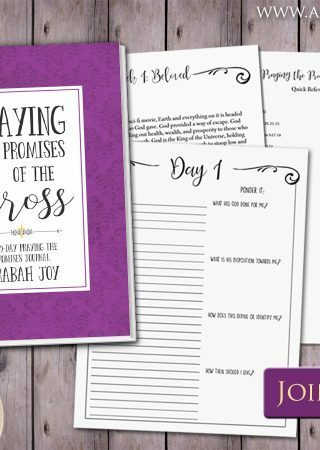 You can also check out our Praying the Promises Kit with instructions for how to pray a promise, daily devotions, 40 journal pages, and more here: Praying the Promises of the Cross: 40-Day Prayer Journal. Join the FREE 40 Day Challenge here, grab a cup of your favorite beverage and your Bible, and look for an email in your inbox. It will give you everything you need to get started NOW! I can’t wait to hear what God does! I added this to my “War Room Praying” board on Pinterest . . . so looking forward to this starting tomorrow! Thank you for this! I want to have more consistent prayer time. I usually get frustrated, because I don’t think I am very good at it. I feel my prayers are rushed, not sincere and generic. God deserves much more than that. Several of us from work have committed to this challenge and to take one lunch time pet week to share our perspective. We thank God for your commitment in sharing His truths and your experiences. We are excited to know Him more! Amen! You’ll have to keep us posted! I want to jave a deeper understanding of Gods word and show my kids aswell! This journal would help me start and in that way continue to pray! Added this to my Pinterest board Faith, I am looking forward to reading more and taking these challenges! I took the 40 Day challenge, but ran into a snag. Romans 8:32 the Day 2 challenge does not exist. What is the correct Scripture for Day 2? 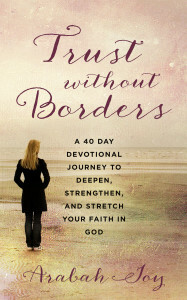 I have gotten so much from “Trust Without Borders.” A great way to begin my day. Ignore my previous post. I was in the wrong book of the Bible. Sorry for the confusion. I recently stumbled across your page when looking for ideas for a prayer journal. I have since printed and used a number of your resources to help me get my prayer and spiritual life back in order. I am not on social media, so all I have is my mouth to inform people about your site and the challenge. Yesterday was my birthday, so this would be an awesome belated birthday gift. Many blessings to you and thank you for your time and effort. 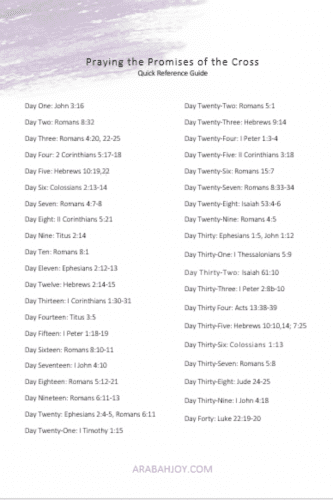 I printed the 40 Days of Praying God’s Promises now I want to print the Promises of the Cross. Is there a way I can print your copy. I did sign up for the Challenge and printed by work sheet off. Thank you this Great. I read your email every day and look forward to receiving it. I am so glad I God lead me to your site. I need to make so many changes in my life and by returning to prayers is number one on the list. By doing this it will free my mind to head toward the right road to happiness.Thank you for coming to me through this blog. His Word is powerful,His promises are true! 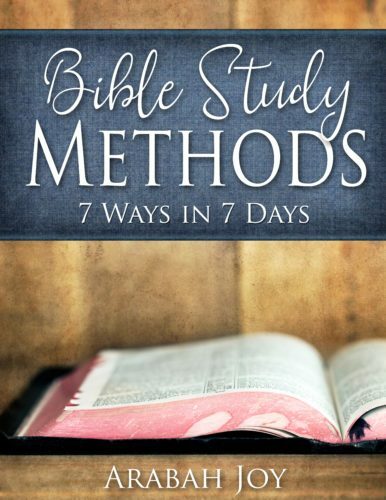 What better way to strengthen your faith than to learn, lean and depend on His Promises. God started dealing with my heart regarding his promises about two years ago, every since then when a caller leaves me a phone msg what they will hear is an invitation to come join me “as I walk in His blessings and stand on His promises,” so now you know why your 40 day challenge drew me in. Thank you for your obedience may God continue to bless you and may heaven shine on you!!! I’m on day 5 of the challenge, and am reaping the benefits of a close walk with Christ. Thank you! Day 5 in the prayer journal lists Hebrews 19:10 as the verse. I didn’t have the guide in front of me to realize the verse was Hebrews 10:19, so I found my own, based on the Ponder It section: Revelations 5:9 – They sang a new song: You are worthy to open the scroll and open the seals because you were slain, and with your blood purchased for God persons from all tribes, languages, people and nations. I was wondering if you (or even another commenter) might have an example of what you would write for the “Pray It” section for any one of the verses? I know it is a personal thing but I am new to prayer and having trouble getting started, I was hoping one example might help. I did purchase the digital download and have all the material. Thanks!